“Sharing Christ’s Love In Practical Ways”. That has become a common phrase at Flat Creek Baptist Church. “We are trying to show our community that Jesus loves them and cares for them and we are doing it in practical and tangible ways”, said Mark Ward, Minister of Education and Outreach at Flat Creek. Senior Pastor Josh Saefkow, who has been at the church for two years now said, “We are sharing the saving knowledge of Jesus Christ with our community in the most practical ways possible”. Flat Creek has held a community event of some kind almost every week this year. 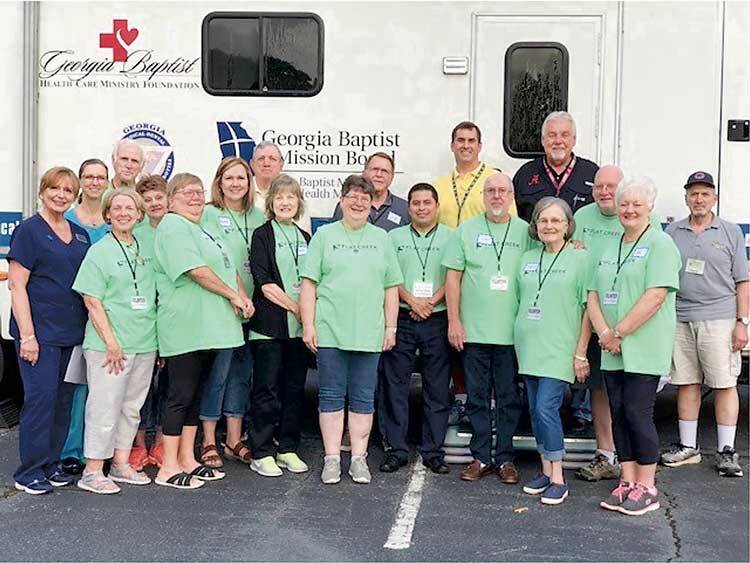 The church has helped with grocery carts at local grocery stores, hosted a dinner for local law enforcement officers, provided flowers for families at local Hospices and given away reusable water bottles at local parks, among other events. Flat Creek Baptist Church is located at 161 Flat Creek Trail in Fayetteville. You can visit their website for more information at www.flatcreekbaptist.org.